With Vyapin’s NTFS security Manager you can modify the security permissions of Shares, Folders and Files present in your network without affecting the inheritance from the parent object. Vyapin’s NTFS Security Manager has been architected using the latest Microsoft .NET technology, bringing you the best-in-breed NTFS Management solution for your entire Windows Network. You can create data subsets for your network using powerful scan options and meaningfully segment your entire network for managing permissions. Delete selected Accounts including its permissions from the Files, Folders and Shares permissions list. 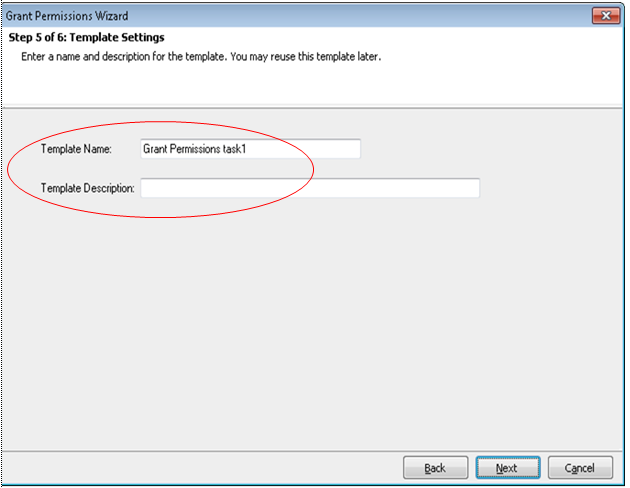 Let us do a quick walk through of how to grant, revoke and modify permissions for a set of Users / Groups using NTFS Security Manager in version 1.0. 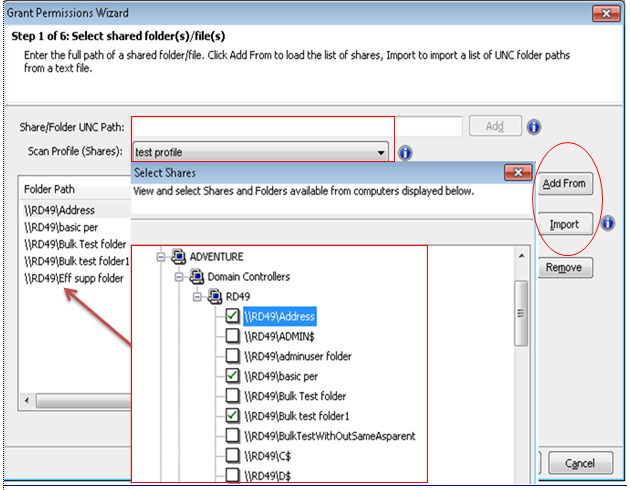 Select the desired shared folder/file by either specifying the UNC path/Scan profile (Shares) name, Add From a list of available computers or import the list of UNC paths from a text file by clicking the relevant tabs. Specify the desired account name or choose from the Domain/Server/Scan profiles created already for Users/Groups to grant the required permissions. Here, ‘Frequent Accounts’ scan profile is chosen to grant permissions on shared folders. 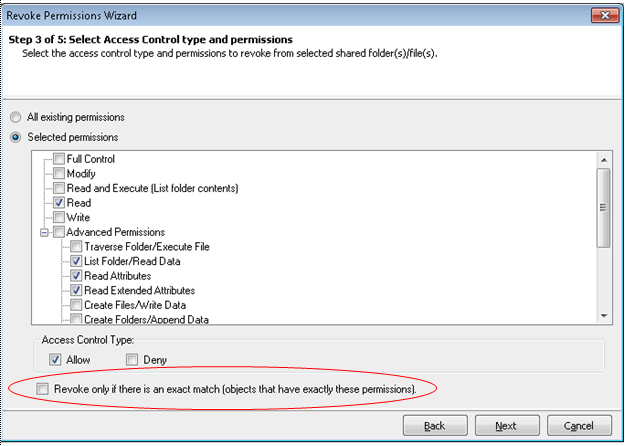 The Grant Permissions Wizard allows you to check multiple Access permissions (Basic & Advanced) and the Access type (Allow/Deny). You can also specify ‘on which’ objects to apply these permissions. Assignment rule: This rule Adds or Deletes the accounts and their permissions. Choose the ‘Add’ option to add the current permissions with the existing permissions. If there is a redundancy in User accounts, either the permissions can be merged or replaced completely with the current permissions. Choose the ‘Remove’ option to delete and replace the existing accounts with the current permissions. Inheritance Rule: You can either ‘Allow’ or ‘Block’ inherited permissions choosing the relevant options. 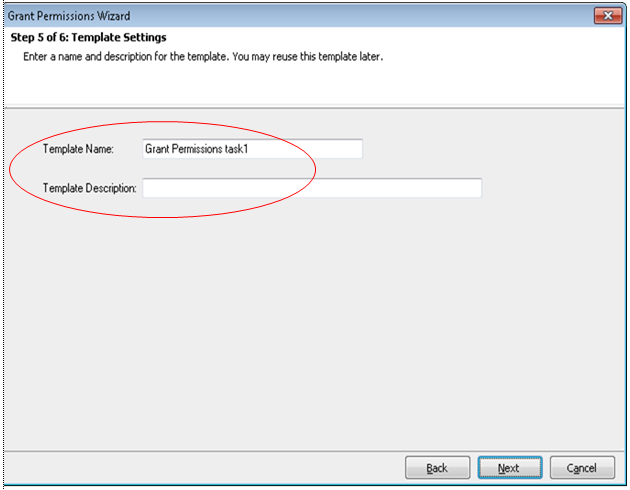 There are additional options to copy or delete the inherited permissions before proceeding with the ‘Block’ option. Finally, you can store the wizard settings in a template and reuse them anytime. 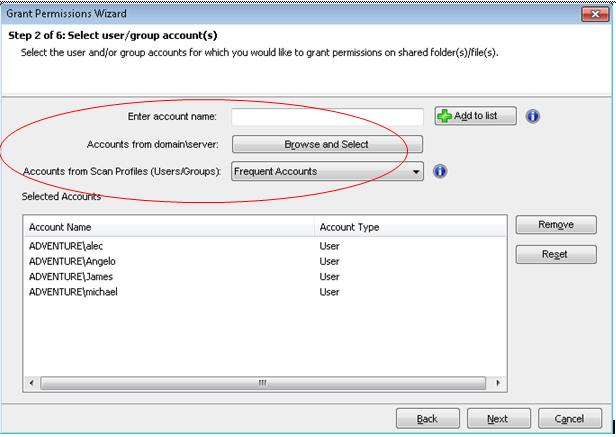 Follow the steps similar to ‘Grant Permissions’ task and check the box at the bottom in the Revoke Permissions wizard to revoke the existing permissions that were granted to User accounts inadvertently. 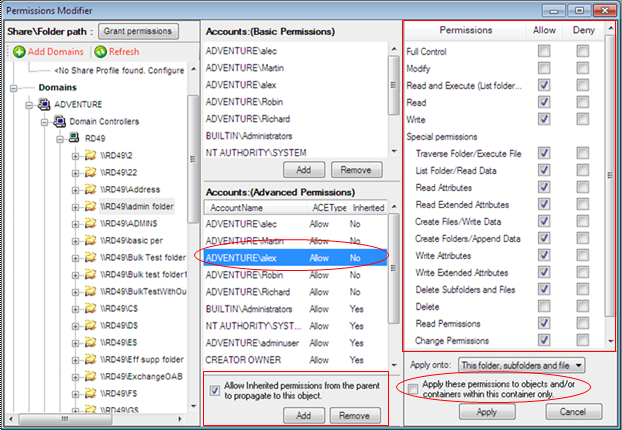 The Modify Permissions feature allows you to view and modify the entire file system permissions. For example, you can use the Add option to add an account with permission Read and Execute. You can use the Remove option to remove an account and its explicit permissions from the share’s permissions list. You can also edit the existing permissions and Allow and Block inheritance from the parent object. In figure 7 / screenshot given below, the first column lists the shared folders/files in the network. The next column lists all the accounts that have basic & advanced permissions. The last column lists all advanced permissions for the selected account. Now you can check/uncheck the desired permissions and finally check the box at the bottom to apply these changed permissions. 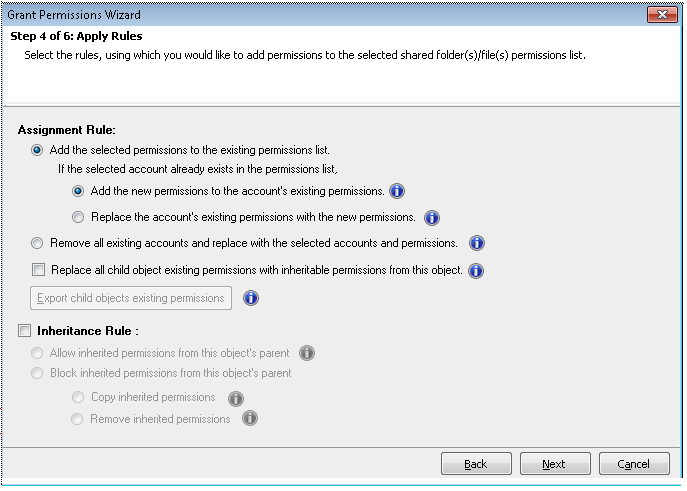 Also, check or uncheck the box at the bottom in the second column to ‘Allow’ or ‘Block’ inherited permissions to this object from its parent.